So why am I banging on about Christmas now? Because I know with just a little bit of planning, Christmas can go from mum losing her cool on Christmas Eve to everything done 2 weeks before. But it takes a plan to do that. What if you could get to December 15th with nothing but "bake cookies with kids" on your to do list? And you knew that Great Grandma would see an up-to-date photo of the kids when she opened your Christmas card? What if you had a full fridge before Christmas Eve, and didn't need to go near the shops again (unless there's a super-awesome bargain on Apple Watches this year) until after January 1st? This planner can help you remember all.the.things. I've been using this planner system for ten years. It's my brain once September rolls around. But I don't want you to be like me and buy something to never look at it again. 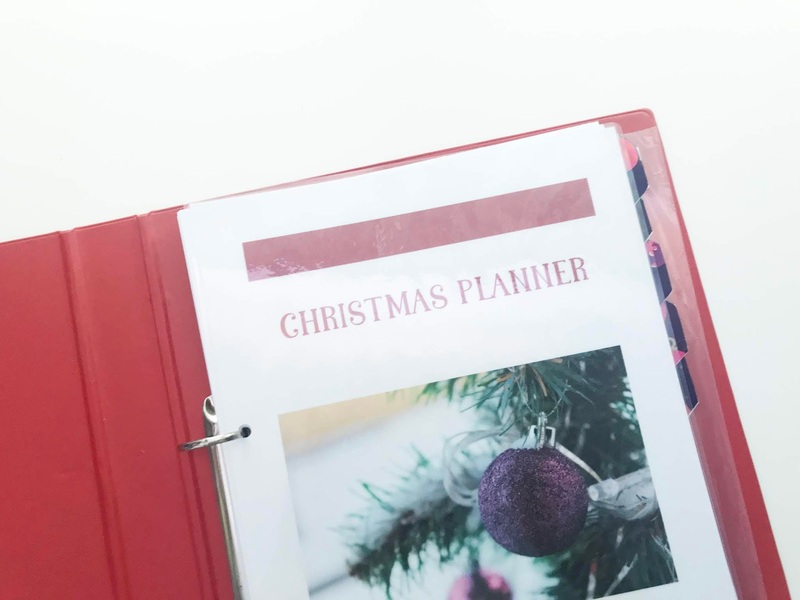 I'm going to back up this planner with blog posts, emails and a free Facebook group to help you get the most out of this season. The best Christmas doesn't mean spending the most money, it means no stress or arguments, and lots of fun for everyone.